four years writing about my new experiences, while living on the high plains in southwest Kansas. It’s no longer new, so I took many of the poems (after spending hours and hours and hours editing the Chosen Ones) and I published them in book form, and the book is now available on Amazon.com. The prose poems are ordered by topic, and are best when read out loud, with a hot cuppa in your hand. A few poems have b/w photos I took on the four-year journey. I designed the cover to simplistically resemble the plains stretched out under an all-encompassing sky. 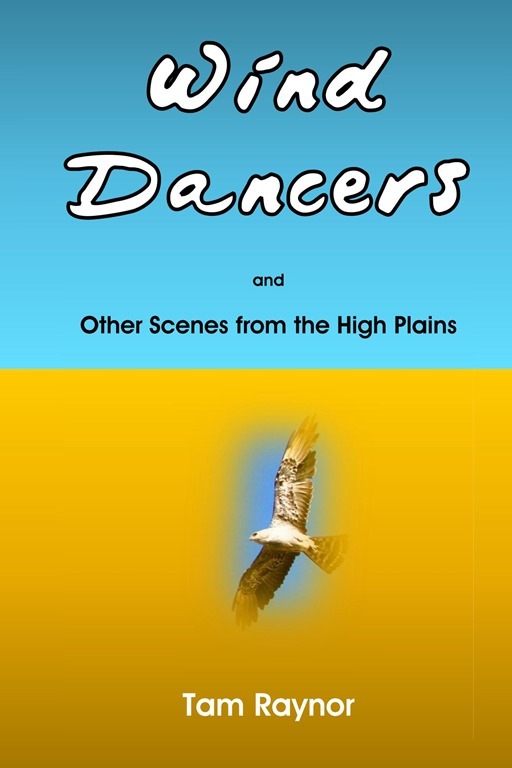 “Wind Dancers” is the title of one piece, about a certain high plains object, but just about everything and everyone, living in this part of the country, are wind dancers.